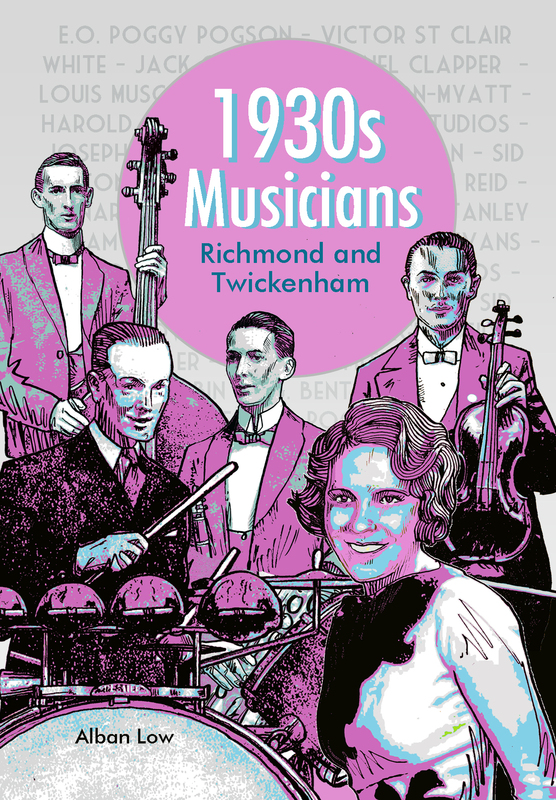 Discover the homes and lives of 1930s musicians who lived and worked in Richmond and Twickenham. This book contains a map and short biographies, from famous residents to more forgotten names. You can also find more modern sites to visit, including record shops, pubs and the local Jazz Club. Alban Low is a London based artist who illustrates album artwork, publishes books, designs maps, and organises inclusive exhibitions. He is artist-in-residence on the radio programme A World in London with DJ Ritu. The names and addresses of musicians in this book have been sourced from Musician’s Union handbooks from the 1930s. Every effort has been made to research and verify information and we are grateful to those experts who have helped in the making of this series. If you know any additional information or corrections then we would love to include them in future editions. Thank you to M.G. Thomas; The National Jazz Archives; John Chilton; Brian Rust; Melody Maker; The British Newspaper Archives; The National Archives; BBC; Shelia Tracy; the team at A World In London (DJ Ritu, Sophie Darling, Norman Druker, Lucas Keen, Patrick Bernard); Eel Pie Records; Kelvin and Lesley Christiane; and my wife Natalie.